Colour Code 4UAVK. Model GG 3672. Condition The sunglasses are used and are in good condition. Style Cat Eye. 69.00 GBP 59.00 GBP 99.00 GBP. 72.00 GBP 44.00 GBP 72.00 GBP. 69.00 GBP 64.00 GBP 74.00 GBP. GIORGIO ARMANI. Model AR 7012. Style Cat Eye. Lens Colour Black. 59.00 GBP 54.99 GBP 94.00 GBP. 54.00 GBP 94.00 GBP 94.00 GBP. Prada Sunglasses Cinema Evolution 53SS VYS5R0 Transparent Azure Blue Mirror have a unique geometric shape with cat's eye lift to the corners, one of the frames that is leading the trend into geometric unusual shapes right now. The thick plastic front frame blends nicely at the cat's eye corners into the metal arms with the metal continuing across the top of the frame and across the bridge in one smooth piece that heightens the luxury feel of the frame. TOM FORD Livia Cat Eye Sunglasses Model: FT 0518 52Z. Model No: FT 0518 52Z. Lens: Violet Gradient. The History behind Tom Ford: Tom Ford, arguably the most powerful man in fashion, originated from Gucci. The box has a couple of scuffs from being in my drawer. Beautiful glasses. Absolute bargain! · Tapered Stems With Tortoiseshell Acrylic Ends. Michael Kors Sunglasses Adrianna 1 1010 1103R1 Pink Rose Gold Rose Gold Miirror are a luxury cat eye style with lovely rounded lenses surrounded by plastic with the metal rims, bridge and temples setting off the chic sophisticated look. Prada Sunglasses Cinema 12QS 2AU6S1 Havana Brown Gradient are a very modern contemporary take on the classic aviator style. The double bridge is wide and quirky and the metal arms match up nicely. The relatively wide acetate frame has the basic aviator shape but with a more geometric angular finish for a bang up to date on trend look. Miu Miu Sunglasses 04QS TV14K0 Matt Pink Grey Pink Gradient are fabulously embellished with some eye-catching jewels around this retro cat's eye style. Thin metal arms and bridge enhance the vintage appeal of these truly unique Miu Miu sunglasses. Hugo Boss Sunglasses 0576 2LI EU Black & Gold Grey Gradient are just simply gorgeous, the wayfarer style frontage is given a cat's eye teak at the corners and this then blends effortlessly into the well matched colour metal arms and then back into the plastic temple tips in the same colour as the front frame. Miu Miu Sunglasses 04QS DHF0A2 Brown Light Havana Gold Blue are fabulously embellished with some eye-catching jewels around this retro cat's eye style. Thin metal arms and bridge enhance the vintage appeal of these truly unique Miu Miu sunglasses. Colour Code 000BN. Model GG 4249. Style Butterfly. Lens Colour Purple. Accessories Original Storage Case. Original Cleaning Cloth. Authenticity Card. 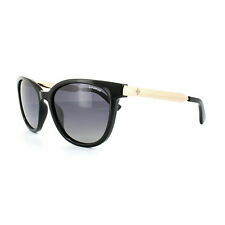 Michael Kors Sunglasses Adrianna 1 1010 110011 Black Gold Grey Gradient are a luxury cat eye style with lovely rounded lenses surrounded by plastic with the metal rims, bridge and temples setting off the chic sophisticated look. Michael Kors Sunglasses Caneel MK2005 303311 Black Crystal Gold Grey Gradient are a very trendy cat's eye style with the crystal clear effect on the sides giving a unique and chic and look. This then merges into the smooth shiny metal arms that further enhances the luxury look finish to these gorgeous Michael Kors sunglasses. Butterfly shape glasses from the oversized elegant and suitable for any occasion. Christian Lacroix. Model Number: CL 5030 165. 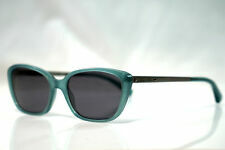 AUTHENTIC Designer Sunglasses. Auctiva's FREE Counter. Presentation Box All Paperwork. FREE Auctiva Image Hosting. Polaroid Sunglasses 4016/S V08 LA Havana Gold Brown Gradient Polarized feature a metal bar across the top brow bar which adds a unique luxury finish to these lovely women's Polaroid sunglasses. The polarized lenses will reduce glare which in turn reduces eye fatigue and much less squinting into the sun!. 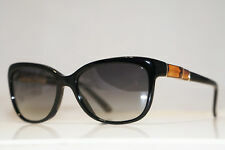 Yohji Yamamoto Designer Cat Eye Sunglasses. Style: Cat Eye. Made in France. Lens colour: Black. 100% UV Protection/ UV Filter Category 3. Ralph by Ralph Lauren Sunglasses 5201 145714 Havana Spotted Pink Rose Brown Rose Gradient are a lovely cat's eye style with a nice blend of acetate front and metal arms that feature a Ralph engraved signature at the temples. Matching temple tips complete the chic look. Bvlgari Sunglasses 6082 278/13 Dark Havana and Pale Gold Brown Gradient are a fantastic cat eye style with plastic top rims over the metal rimmed frames with accentuated corners for that lovely extended cat's eye look that is always so popular. Model NumberFT322 32F. Lens ColourBrown Gradient. Police Roberto Cavalli Marc Jacobs Giorgio Armani Bulova Tom Ford Handbags Prada Sport Christian Dior Gucci. Bridge Size17mm. IncludedTom Ford Case, Cloth & Authenticity Card. Polaroid Sunglasses PLD 5016/S LLY 94 Havana Gold Brown Gradient Polarized have a subtle cat eye shape to the acetate front frame which merges nicely with the solid metal arms for a durable and modern look for the fashion conscious woman who needs clear and glare free views with the premium polarized lenses. Ralph by Ralph Lauren Sunglasses 5201 126511 Black Gold Grey Gradient are a lovely cat's eye style with a nice blend of acetate front and metal arms that feature a Ralph engraved signature at the temples. Matching temple tips complete the chic look. Chloe Sunglasses CE657SR 272 Turtledove Brown Gradient are a chic sophisticated design with typical flair and effortless blend of materials from Chloe. The feminine cat eye shape is classic and we love the sparkly metal temples. 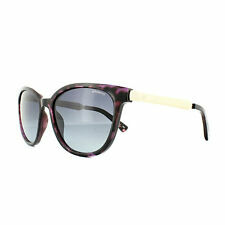 Mlchael Kors Zoey Sunglasses With Gold Mirrored Lenses M2884S/001. 1yr Warranty. Michael Kors Sunglasses Adrianna 1 1010 110113 Dark Tortoise Gold Brown Gradient are a luxury cat eye style with lovely rounded lenses surrounded by plastic with the metal rims, bridge and temples setting off the chic sophisticated look. Polaroid Sunglasses 5015/S LLY 94 Havana Gold Brown Polarized have a very modern look with the vintage inspired cat eye shape being given a contemporary finish with the sleek metal arms. Polarized lenses which are Polaroid's forte will remove the glare that makes your eyes uncomfortable in bright sun and will fully protection you from the sun's UV rays. Tom Ford Sunglasses FT0373/S 01B Nina. Bridge Size 21mm. All sunglasses lenses give100% UV protection. Temple Length 135mm. Lens Size 56mm.